Gothtober Day 20: Dancing with Cindy and Barry Morse! artists Comments Off on Gothtober Day 20: Dancing with Cindy and Barry Morse! Visit www.gothtober.com and click on DAY 20 to see an adorable yellow-dressed sweetheart! It’s true that pennies are a girl’s best friend, and here to prove it with her umbrella and pigtails is smiling, four-year-old Cindy! “Pennies from Heaven” was made one of the biggest hits of the 1930s by none other than Bing Crosby. The melody was composed by Arthur Johnston with lyrics by Johnny Burke. It was then recorded by many famous artists, such as Billy Holiday, Frank Sinatra, and Louis Prima (to name a few) but the Skyliners made it a hit again with their version in 1960. Pennies from heaven are a sign of serendipity, it is said that no matter how badly it rains, this too shall pass, and good things are just around the corner. One just has to wait out the storm. This was an especially optimistic sentiment for the depression era, when the song came out. Such a song still resonates today, which is why it’s such a beloved classic. 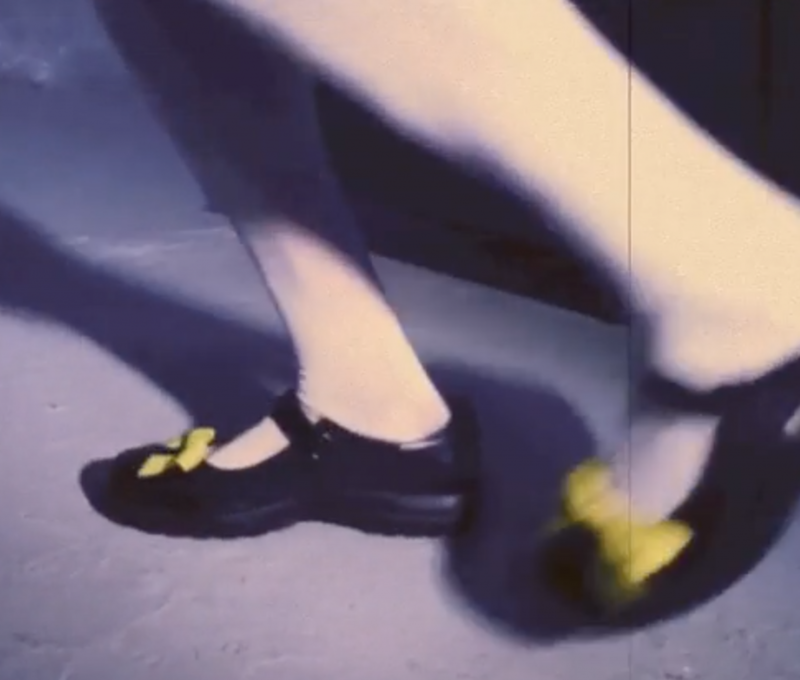 And you know, it’s kind of hard to mope with Cindy dancin’ around in her tapping shoes, go go Cindy! Come to think of it… she’s got pretty strong arms, she’s kinda ripped! I bet she can weather any storm! Find out more about Cindy and Barry Morse here! 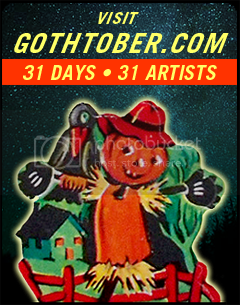 The Gothtober Countdown Calendar™ is a curated time-release flash-based online museum of 31 works of art by 31 different artists. The official run of the show is from October 1st to the 31st, a new piece being revealed with each day of the month.The best way to see what it is though, is by visiting it! Today’s pre-autumnal treat is some quality vintage radio. Listening to Boris Karloff, the man who has “raised more hairs than a mother rabbit” is a fine and proper way to start prepping for pumpkin season. 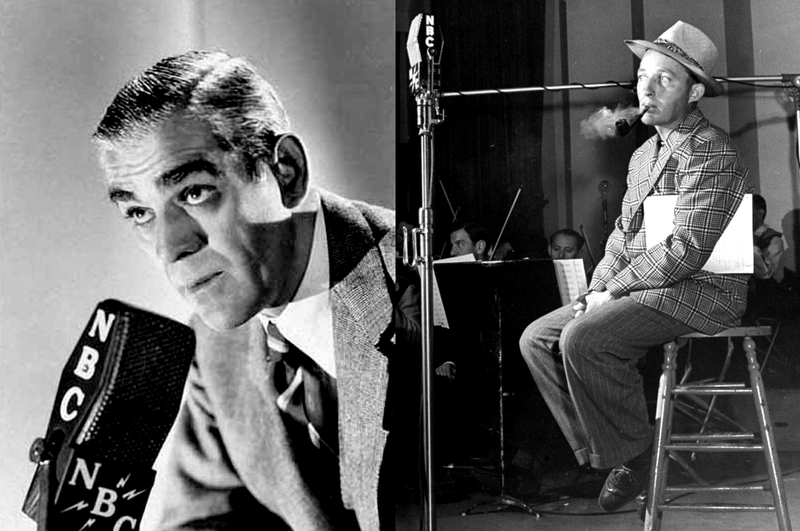 The year was 1947, this show was broadcast on the night of October 29th as part of the Phico Radio Hour. Bing Crosby was the first major star to begin using magnetic tape to record his shows, he gave his pal, Les Paul, an Ampex Model 200 Recorder, and Les Paul used it to invent multitrack recording! Enjoy a trip back to Halloween yesteryear during radio’s golden age! Part 2 at 7:23 gives you a great little song where Boris, Victor and Bing play ghosts who are scared to death… of kids on Halloween! And at minute 13 you can hear Boris get perfectly sinister.